Female entrepreneurs are more likely than men to launch retail businesses. The results are in: women build bigger businesses than men. On average, women entrepreneurs start more companies and their main business makes more in revenue, according to a new global survey. French bank BNP Paribas and consultancy firm Scorpio Partnership surveyed more than 2,500 entrepreneurs from the U.S., Europe, Asia and the Middle East. They focused on individuals worth at least $2 million, excluding their main residence, though the average respondent was worth more than $7 million. The survey found that the average female entrepreneur launches 4.9 companies. Men launch 4.3. Women entrepreneurs also have more success growing their main business, reporting average annual sales of $9.1 million. Their male rivals manage $8.4 million. Respondents said success or failure depended mainly on an entrepreneur's vision and drive, but noted that women could be held back by a lack of confidence. "There is no difference between a man and a woman in the entrepreneurial world," said one respondent. "However, women often lack the confidence to start a business. They need to believe in themselves more." 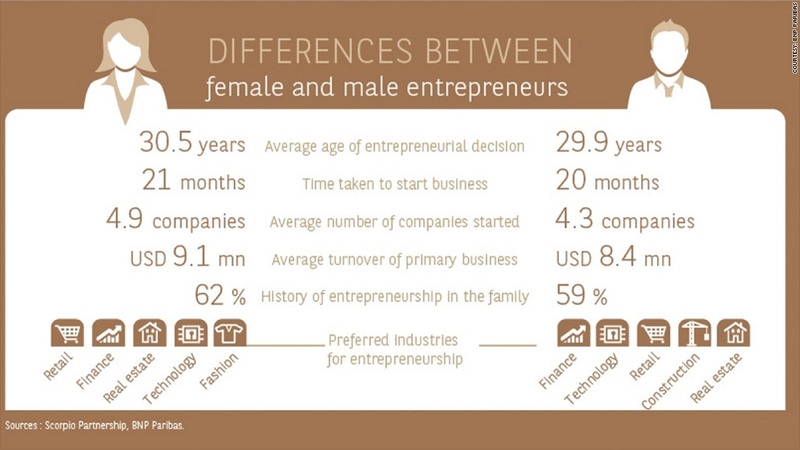 One factor seems common to most successful entrepreneurs, however, regardless of gender. 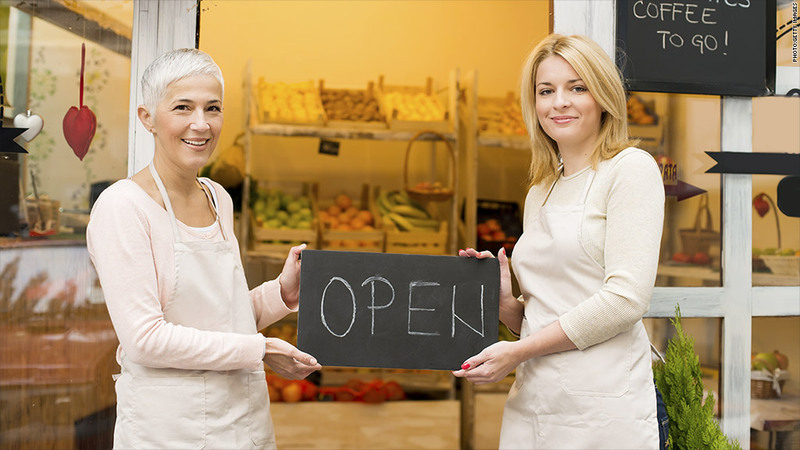 The survey found that 62% of female respondents came from a family with a history of running businesses. The same was true for 59% of male entrepreneurs. That family history matters more in some countries than others. More than 75% of entrepreneurs in Taiwan, Spain, Poland, Turkey and the Gulf countries have such a background. In the U.S., the figure drops to 57%.